14,000 Hiroshima Bombs PLUS Weapons Grade Plutonium Coming to City Near You. For More Information, Contact | Valerie Price. Click HERE to send 5 FREE Faxes Per Day from your Computer ~ You do not need a Fax Machine or Credit Card. Click HERE to Submit Comments On-Line to The White House. On your nightly news, you hear little about the Japanese ongoing catastrophe at Fukushima. A triple nuclear meltdown with fully molten cores in reactors 1 through 3, a core explosion in reactor 4 that blew the massive core all over Fukushima Prefecture and out into the Pacific ocean. Multiple hydrogen explosions were barely reported and after two and a half years, most people believe the reactor is “stable”. The phrase “clean up” is used to describe the frantic efforts of Tepco to keep water pouring into the cracked basements where the lost cores were last thought to be and to keep boron water in cracked fuel pools where a massive number of damaged fuel rods threaten to start a nuclear chain reaction above ground with more nuclear material than 14,000 Hiroshima bombs plus weapons grade Plutonium. The Hiroshima bomb did not release Plutonium. Here are the facts. Japan would have to be on the moon for the poison spewing from Fukushima to be safe. There is no safe level of internal radiation and that’s what we’re talking about. The toxic substances from Fukushima are already in our air and food. If the contamination is not contained very soon, the poison will also accumulate in our groundwater. Fukushima has been releasing radinuclides into air and sea since the meltdowns began and cannot be stopped until the cores are captured and contained. Each core weighs roughly 150 tons. Temperatures of the cores are estimated to be higher than 4,000 degrees Fahrenheit. The density of the materials in the fuel rods and the ability of those fuel rods to undergo fission means that microparticulate poisons are continually pouring out, the metals behaving as gasses, rising into the atmosphere, traveling around the world, raining out on the planet from the geographic North Pole to Antarctica. The poison has no smell, it is invisible to the naked eye and can’t be detected in food by taste. It can only be identified by testing which the US government has refused to do. Why? The reasons are simple and chilling. The government can not offer safe substitutes for food, water, and air. If people were fully aware of the problem, they would likely choose to pull investment money out of Uranium mining and other stocks that pertain to nuclear power and weapons. Washington insiders refer to that scenario as a “panic.” The collapse of the Uranium mining and nuclear industry would severely impact some of the largest fortunes in the world, including Queen Elizabeth II, the United States Government, and other sovereign wealth funds. It would be very expensive to stop the Fukushima meltdowns and require tremendous construction, innovative technology, and developing new methods for core capture and decontamination. Politicians are being reassured by industry hacks who have science credentials but no experience. These men have pushed nuclear for so long in complete denial of the dangers, they sound obsessed and have begun to believe their own hype. The people of Earth have been left openly vulnerable to the global contamination while at the same time being deliberately misled. Politicians, reporters, doctors, those professionals the people look to for informed awareness have also been mislead and worse, they have been pressured to deny the dangers. They have complied, expecting the nuclear industry to get a handle on the disaster. They were buying time, hoping to announce that the industry had responsibly stopped the meltdowns and contained the radiation. Unfortunately, Tepco and the Japanese government has not used the time they were granted to aggressively attack the problem. Instead, they have cut costs by performing visible tasks like scrubbing walls and moving tsunami debris around with bulldozers. The wall they built offshore to prevent contamination from escaping into the sea has caused an underground river beneath the reactors to rise, contaminating the groundwater that now flows freely over the wall and has turned the plant into a radioactive swamp where men and machines cannot be effective. To sum it up, the problems have worsened at Fukushima to the point that all people everywhere should begin preparing emotionally for the worst. If contamination continues to flow out of Fukushima at it’s current rate, the phytoplankton that produce the oxygen we breathe will be exterminated. The Earth will lose it’s atmosphere, but not before everything living on land or in the sea has experienced the genetic and metabolic damage ingestion and inhalation of radiation causes. People MUST contact their elected representatives in Washington and demand action. The Japanese and the wider nuclear network cannot be allowed to destroy the living world through ignorance and complaisance. Daily phone calls and emails to Congress may make a difference. Our politicians must be eductated. They are vulnerable to Fukushima radiation just like everyone else, but they don’t know that. Nuclear hacks are in their ear everyday claiming the problem is minor. Please stand up. Call, write, educate yourself and others. There may still be time to make a difference, but everyday the time gets shorter, more poison is released, larger problems develop, and more people die. The nuclear industry has only ever made messes, they have never been required to clean anything up. People must demand action now. 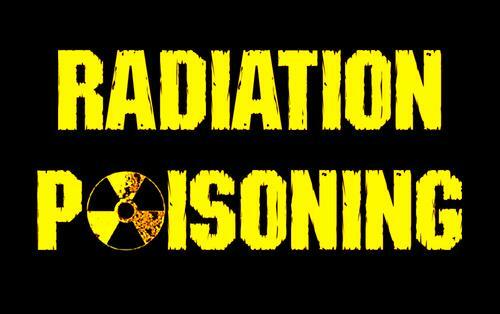 Click HERE to Join Group RADIOACTIVE WORLD. Posted on September 19, 2013, in Earth Rights, Human Rights and tagged Fukushima, Hiroshima, Japan, Nuclear Accidents, Nuclear Meltdown, Radiation Poisoning, TEPCO, Tokyo Electric Power Company. Bookmark the permalink. 7 Comments. I only have questions and no answers: Why isn’t the major media covering this story? What is the USA doing about this? What is the UN doing about this? What is it going to take to get some attention to the ongoing disaster at Fukushima? really? but it’s ok to radiate people and kill the planet? really… they don’t want mass chaos on the planet – well any more than there is now.